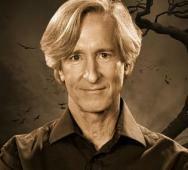 Mick Garris, Good Deed Entertainment, and Nice Guy Productions are teaming up to bring us a new horror anthology titled Nightmare Cinema (2016). 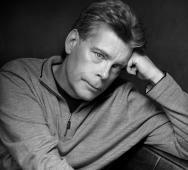 Mick Garris has been very successful in bringing us great Stephen King adaptations, and we cannot forget the Masters of Horror series. Nightmare Cinema will feature work from Joe Dante, Ryuhei Kitamura, Mick Garris, and more. We are all extremely excited and so should you! Read the official press release below for full details. Scream Factory is releasing Jose Manuel Cravioto‘s Bound to Vengeance (2015) this November 10, 2015. Bound to Vengeance is a great sounding film about a captive girl who breaks free and makes her captive lead her to other captive girls hidden around town. Will she free them all, I hope she will and want to see this film to find out. Amy Okuda, Richard Tyson, and Tina Ivlev star in Bound to Vengeance. 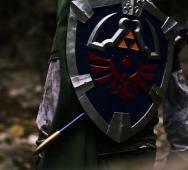 Brandon Davidson created an amazing The Legend of Zelda live action movie trailer. This fan made video trailer clocks in at over 3 minutes long of goodness. Nintendo is rumored to be moving back into the movie industry with other rumors that included a Zelda TV series for Netflix. The teaser trailer portrays all the deep feelings I feel for the Zelda game series, enjoy! The Evil Dead‘s Necronomicon Ex-Mortis a.k.a. The Book of the Dead of Dead is one of the creepiest books you can feast your eyes on. It is also a cool DIY horror book to create yourself. Here is a fantastic video on how you can create your own Necronomicon for under $50. Dylan Thomas is the guest host walking us through the entire how-to guide. Have fun and tell us in the comments if you tried to create your own and how it came out. AMC’s Preacher Season 1 now has a teaser preview first look which you will have to replay a few times because they cleverly packed a lot into the teaser as quick flashing images. 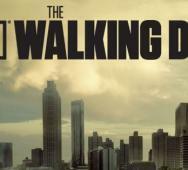 The full Preacher trailer will air during this week’s episode of The Walking Dead, November 1, 2015. During one of the flashes, you can see the vampire Cassidy with a hand burning from the sun. Seth Rogen produced the Preacher TV series and says that they stayed pretty close to the source material. 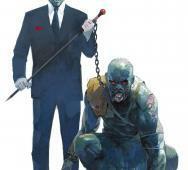 The official premiere date for Preacher is still undetermined, but it will be sometime in 2016. 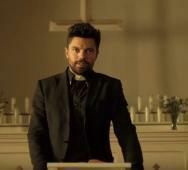 Dominic Cooper, Jamie Anne Allman, and Euphrates ‘Tee’ Arthur star in AMC’s Preacher Season 1. Jason Blum of Blumhouse Productions and Eli Roth finally has a first look teaser trailer video for new horror TV series South of Hell Season 1. WEtv’s South of Hell Season 1 premieres November 27, 2015, with a fantastic Netflix feel of airing the complete seven episodes right after the other so you can binge watch the entire series. You will still be able to watch the series on a weekly basis, but I thought it was really cool that all seven episodes would air right away. 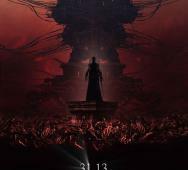 Eli Roth executive produced the new horror TV series and also directed the pilot episode. Other episodes were directed by Ti West (House of the Devil, The Sacrament), Rachel Talalay (Doctor Who, Tank Girl), Jennifer Lynch (The Walking Dead, Teen Wolf) and Jeremiah Chechik (Helix, Reign). That is a long list of talented directors on one short TV series so I am especially excited to see what they pulled off. Game developer Red Barrels has finally released a teaser trailer video for their upcoming horror game and sequel to the popular Outlast game, Outlast 2. I am a huge fan of the experience Outlast brought to the horror game genre. Outlast 2 will release sometime in Fall 2016, so this is a very early promo. Lizzie Borden has been played in movies numerous times with the latest performance done by Christina Ricci as a TV movie. Kristen Stewart and Chloe Sevigny have been cast in a new Lizzie Borden movie that will be a feature film adaptation. Chloe Sevigny will play as Lizzie Borden and Kristen Stewart will star as Bridget Sullivan. Sullivan was the live-in maid who testified in the trial against Borden stating that Borden did, in fact, commit the murder in 1892 of her father and step-mother with an axe. 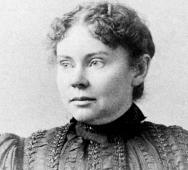 Lizzie Borden was acquitted of the murders. 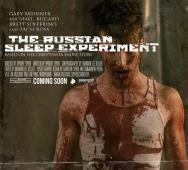 Tom Hanks’ Playtone production company will executive produce the film. This movie will deal with “the true events that led up to the infamous double murder.” Directing is Pieter Van Hees with Bryan Kass as the screenwriter. 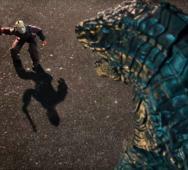 Adult Swim’s Robot Chicken made a funny parody short film about Jason Voorhees vs. Godzilla. What a hilariously funny video. You have to appreciate Robot Chicken for mashing two franchises that otherwise would never be mixed. Tell us what you think of this video and concept in the comments below. On November 4, 2015, we will see an amazing crossover including John Constantine (Matt Ryan) on CW’s The Arrow Season 4 upcoming episode with Green Arrow (Stephen Amell). I have been waiting for this for a while and a little black magic on The Arrow. 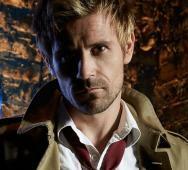 Constantine will lend his services to help Sarah with a restoration of her soul to her body. Michael Dougherty talks Trick ‘r Treat 2 and what we can expect for the sequel to Trick ‘r Treat (2007). 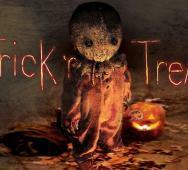 I personally have Trick ‘r Treat as a Halloween tradition to watch on Halloween night. 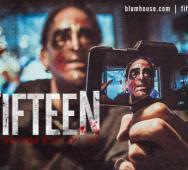 The perfect example of everything a Halloween horror anthology should be. Michael Dougherty said that we can expect more of the same structure as the first film, but it digs deeper behind the “curtain.” Legendary Pictures announced that they were officially moving forward with the Trick ‘r Treat sequel two years ago. Trick ‘r Treat 2 is currently in development and should go into production soon. Michael Dougherty is currently promoting Krampus (2015), so we have a little wait. Gary Oldman Co-Writing Western Vampire Novel BLOOD RIDERS! Gary Oldman is one of my favorite actors today. 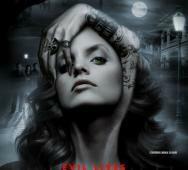 I was astonished to hear that he will be making a western vampire novel. 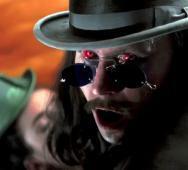 Gary Oldman played a fantastic Dracula in Francis Ford Coppola‘s Dracula (1992). Gary Oldman will be co-writing Blood Riders with Douglas Urbanski, who is also his longtime producer/manager. The new vampire novel is described to be about “a mysterious man fleeing a curse in a town that the gold rush left behind.” Blood Riders has been in the works for a long time now since The Book of Eli (2010) was filming. The co-writers decided to write a novel after they went back and forth with the medium being movie or TV; a novel was the final decision. Blood Riders is set to release this upcoming Spring 2016. Blood Riders is expected to be a novel series as Urbanski teased that readers will want to know what happened to Magnus, the protagonist.